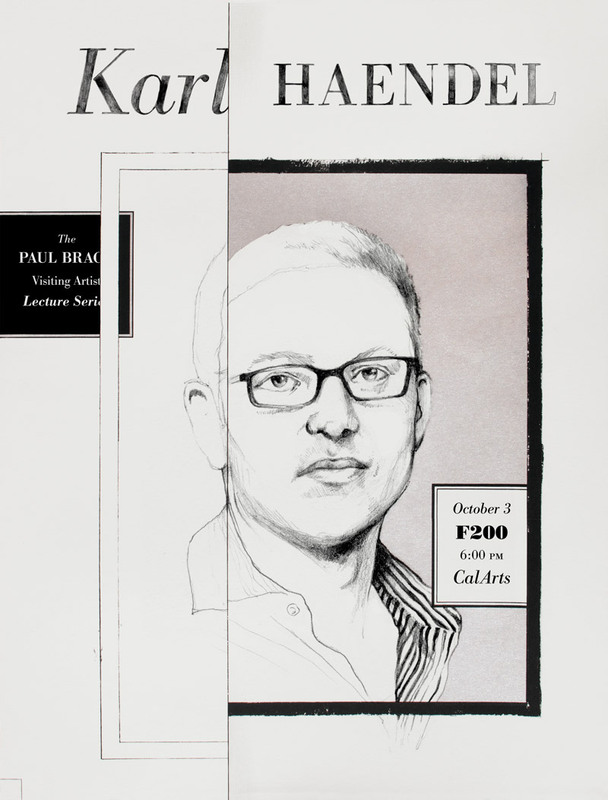 Artist Karl Haendel came to CalArts to give a lecture and I was asked to create a poster for him. Drawing on the formal qualities of his photorealistic pencil work and framed exhibition spaces, I decided to illustrate the whole poster and see how well pencil lines would silkscreen. Going for a monochrome feeling, it’s a two color print, silver and black.